Waiting for Guffman, Best in Show, & A Mighty Wind are comedy perfection in my book and in the books of the very strange people I surround myself with. 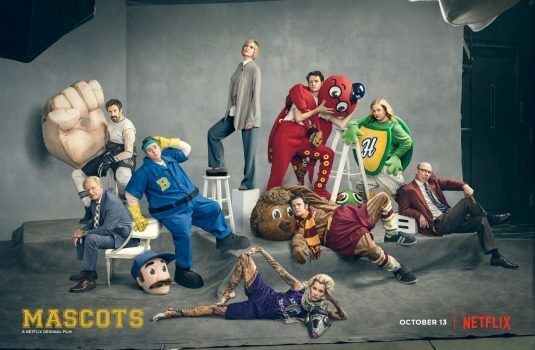 Christopher Guest’s unique mockumentary style is a thing of legend, and I will see any movie he chooses to make with this group of hilarious people. That said, his last film, For Your Consideration was a step backward, with a loss of the comedic timing & ridiculous antics that made the others so successful. Judging by its trailer, I worry that Mascots is a jerk of the wheel in the other direction, a massive attempt to regain past hilarity that could result in the whole thing going over the top. I’m seeing this movie ASAP, I love Guest & his friends, I will most definitely laugh during this movie. I just hope it’s a return to the old genre and not an overcompensation. Guest himself reprising the role of Corky St. Clair gives me hope though, as does the infusion of some new blood in the group. Please let this be awesome.